The process for developing a final plan has included many mining scenarios that have to balance economic goals (to satisfy shareholders) and environmental goals (to satisfy regulators). Developers believe they have struck the right balance with the 2017 plan, which represents a much smaller mine footprint than originally designed. 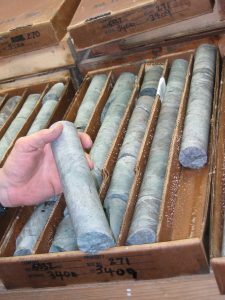 It will focus on minerals that are closer to the surface and will operate for about 20 years. When describing the plan at the Denver Gold Forum in October 2017, NDM President Ron Thiessen said they have eliminated geological risks, process engineering risks, and any risks related to engineering. He noted that one positive outcome of EPA’s Bristol Bay Watershed Assessment is that the company was able to address all its concerns upfront in detail. While the mine plan has been submitted for permitting, it’s not final. Mine plans typically do change as a part of the permitting process, in response to regulator input and during the public scoping process. In fact, PLP submitted a technical document outlining changes in May 2018 and revised the project description again in October 2018. The Pebble project has proposed an 83-mile transportation corridor that includes a port site at Amakdedori on Kamishak Bay, a ferry crossing Iliamna Lake, a 29-mile road from the mine site to the northern ferry terminal on the north shore of Iliamna Lake, and a 37-mile road from the southern ferry terminal to the Amakdedori port. These would require 229 water body crossings, with 7 bridges, 73 fish passage culverts and 149 drainage culverts. The port would include on-shore facilities and an two off-shore lightering locations. While the Amakdedori route is included in the current Pebble project proposal, developers are still looking at alternative corridors, particularly a northern route between Williamsport and Pile Bay. The search for a port site has long challenged developers, as noted in the 2007 “Iliamna Region Transportation Corridor Analysis” prepared for the Alaska Department of Natural Resources by PND Engineers, Inc. The same report illustrates that a route from Kamishak Bay to the Pebble deposit via a ferry over Iliamna Lake was considered by original deposit owner Cominco as early as 1991 (see the map on page 24 of this document). There is still no cost information about this proposed route. Pebble Limited Partnership (PLP) has a Preliminary Economic Assessment (PEA) on its “to-do list,” according to a spokesman, but has not announced when that would be undertaken or completed. That detailed assessment spans more than 500 pages, including 10 pages on proposed port sites at Iniskin Bay and Williamsport, and an overland transportation corridor. 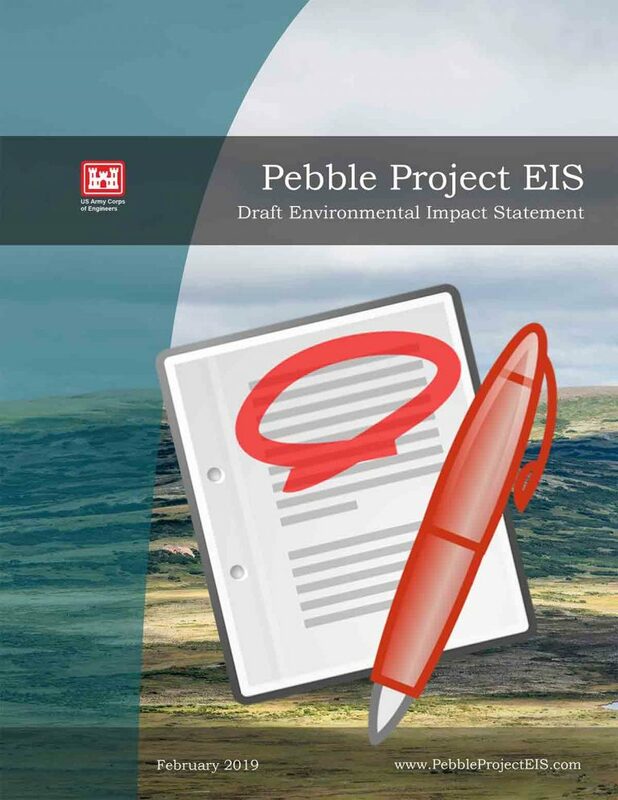 The 2011 document did not detail any plans or lay out costs for the lightering/ferry over Iliamna Lake option that is included in the Pebble project’s permit application. The 2011 Preliminary Assessment, which details early plans for a developing a larger mine, is now available at SEDAR, the Canadian Securities Administrators filing system. (Search for Northern Dynasty Minerals Technical Report NI 43 101, March 22, 2011). We have also uploaded it to Pebble Watch for reader convenience. According to NDM, the assessment is out-of-date. However, is referenced by developers during the current permitting process related to economic information. Readers may be interested in its level of detail compared to the 2017 plan, or may be interested in historical detail on drilling, metallurgical testing, or needs for operating a longer-term mine site. The U.S. Army Corps of Engineers has said it is evaluating a 78-year mine alternative since this information is already in the public sphere due to the publication of this Preliminary Assessment. During the process of evaluating potential risks of large-scale mining operations to the Bristol Bay Watershed, the Environmental Protection Agency (EPA) developed hypothetical mining “scenarios” based in part on the 2011 Preliminary Assessment and consultation with mining experts. While mine developers contended these are worst-case scenarios, they also revised plans to address some of the issues detailed by the EPA. The Bristol Bay Watershed Assessment is considered a flawed document by developers. Others disagree, citing the public process and peer review that EPA used when creating the report. A May 2017 legal settlement between PLP and EPA stated that “EPA may use its scientific assessment regarding the Bristol Bay Watershed without limitation.